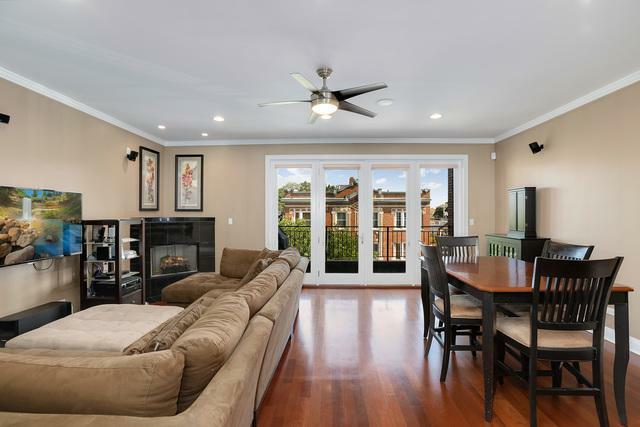 Extra wide 3bd/2bth simplex in the heart of the very desirable West Town neighborhood. 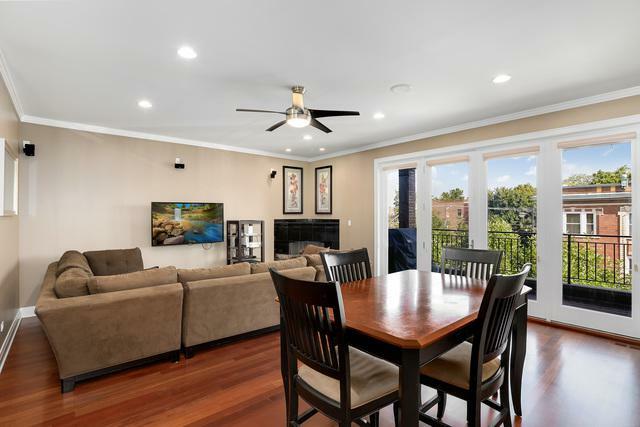 Step inside to a gourmet kitchen with 54" walnut cabinets, high end Viking fridge and oven with externally vented hood, tile backsplash, and granite counters with large breakfast bar. The open concept flows seamlessly into a large front living space with gas fireplace and plenty of space for a full dining table. Master suite features large walk-in closet and luxury bath including dual sinks, separate jacuzzi tub, glass enclosed shower with body sprays, rain, and steam. Front and back deck, plus common rooftop deck with skyline views. 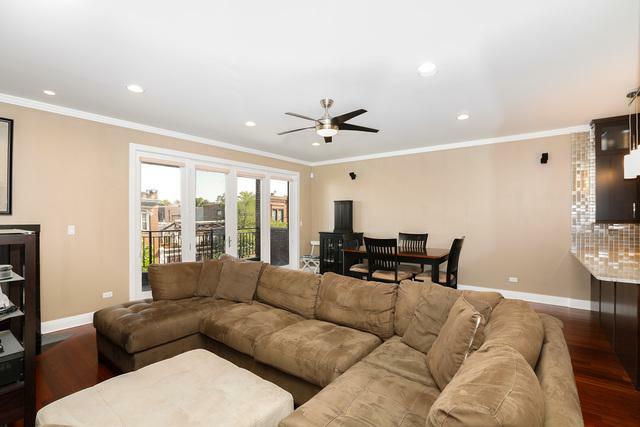 Unit also features in-ceiling speakers throughout the unit, 8' solid core doors, cherry hardwood floors, crown molding, and tandem parking spot! 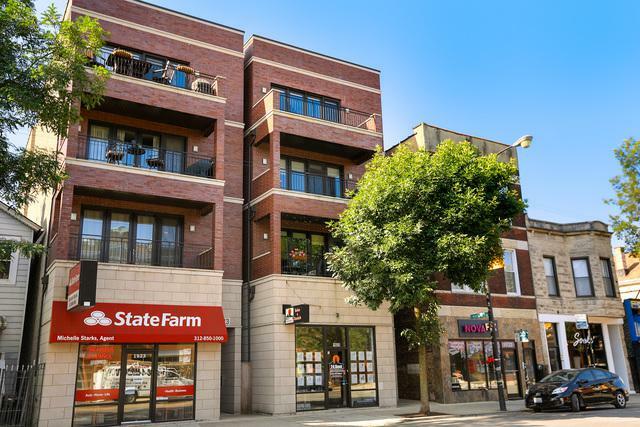 This unit has it all in a great central location one block to Marianos, easy access to Chicago and Damen buses, plus all the restaurants/shops/nightlife of West Town and Wicker Park!